Cleveland's Labor Day Oktoberfest is happening all weekend long at the Cuyahoga County Fairgrounds in Berea. Admission is only $10 for adults ($2 off if you purchase online in advance), and parking is free. The event features food vendors, German and craft beers, live entertainment, a large kids zone, a cool sand sculpture, flea market, and...wiener dog races. 1. Watch the wiener dog races. The second goal was accomplished in even a way that I hadn't imagined possible. The menus of each food vendor are posted on the event's website this year, which is great for planning out your stops. First, I was drawn to Schnitzel & Giggles due to their playful name. Secondly, they were serving Schnitzel-on-a-stick, people! I do love me some meat on a stick. There just aren't enough meats on sticks in this world. We did manage to also share a corndog. Another meat on a stick, hooray. "R" doesn't discriminate, and he'll just eat anything on a stick. Including the Cheese-on-a-stick, which is a giant hunk of Swiss cheese, dipped in corndog batter, and fried. This gooey blob was better than I had anticipated, and I stole two bites. Three food items on a stick. Mission accomplished. For some polka, beer, great people-watching, and all the German food you can eat, head over to Oktoberfest today or tomorrow. How are you spending your Labor Day Weekend? If you're looking for a sweet treat over the holiday weekend, head to Weber's Premium Custard and Ice Cream in Fairview Park. 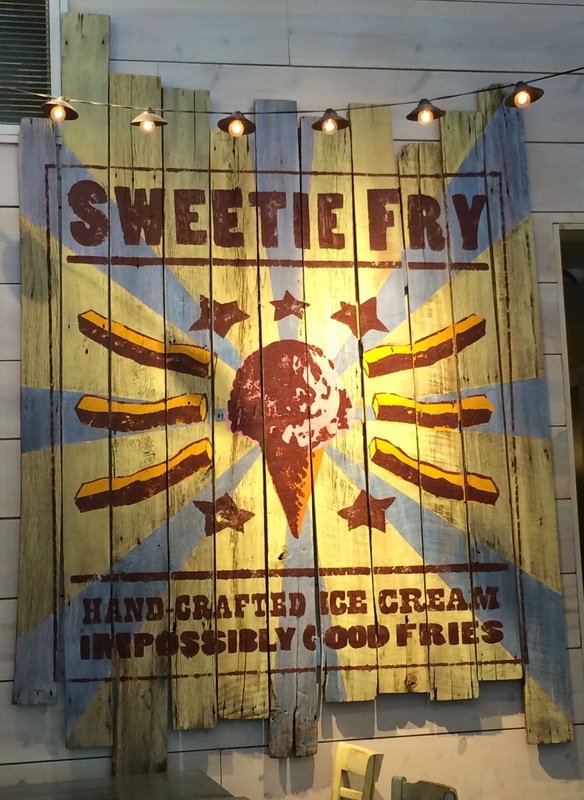 They have a variety of classic and specialty flavors of hard ice cream and smooth, creamy frozen custard. It's the best of both worlds! "R" will eat just about any kind of ice cream, but I'm a soft-serve or frozen custard kinda gal. We were each happy with our options at Weber's! Also, Lizzie was loving the fact that they sell Purina's Frosty Paws for pooches. She licked that whole thing clean, and then looked up at us like "Where's the rest?" "R" ordered a scoop of hard ice cream (Strawberry Cheesecake, maybe?) and a scoop of Salted Caramel Frozen Custard. I love that you can mix and match your scoops. I went straight for a scoop of the salted caramel custard. There is a large counter and display cooler (products also available by the pint) when you enter the shop, but no seating. You can find a couple of picnic tables outside though. Plenty of parking for a quick stop in, and it was easy to find on Lorain Road. Lizzie demands that we return. Last night, twenty lucky bloggers (including me!) 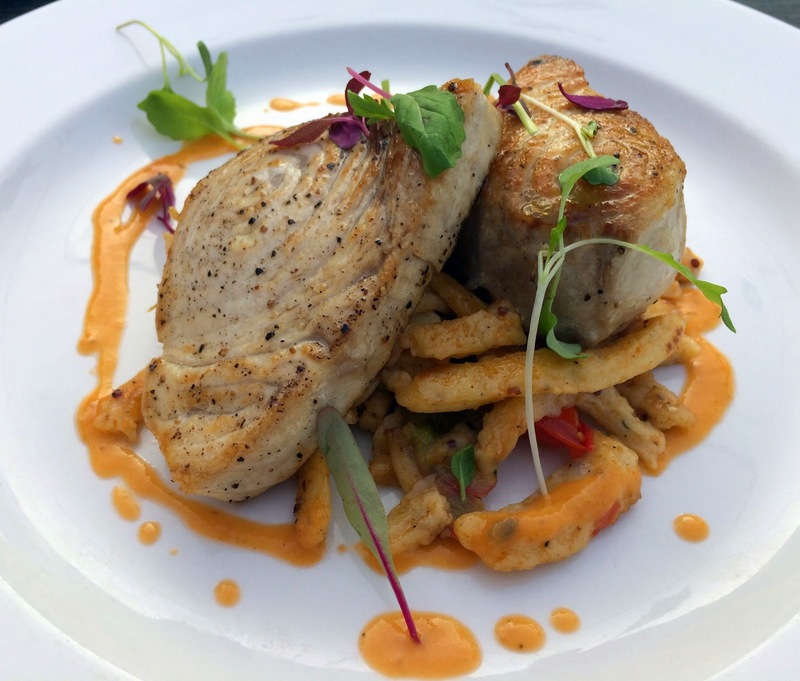 were invited to Urban Farmer- Cleveland's Steakhouse for a five-course tasting of their menu. 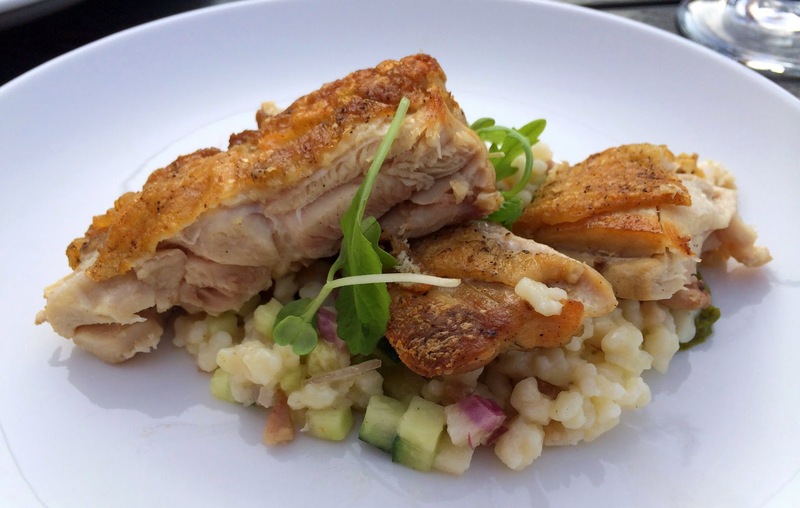 Even though I had to miss the Cork & Cleaver pop-up dinner at Toast, I really wanted to go. I've been hearing nothing but glowing reviews of the food, cocktails, and atmosphere, but I hadn't had a chance to dine there myself yet. It's been a busy summer! I'm so glad that I accepted the invitation, because the food was exceptional. We started the evening on the patio with a cocktail and charcuterie spread. The cheeses, meats, and oysters were all very good. 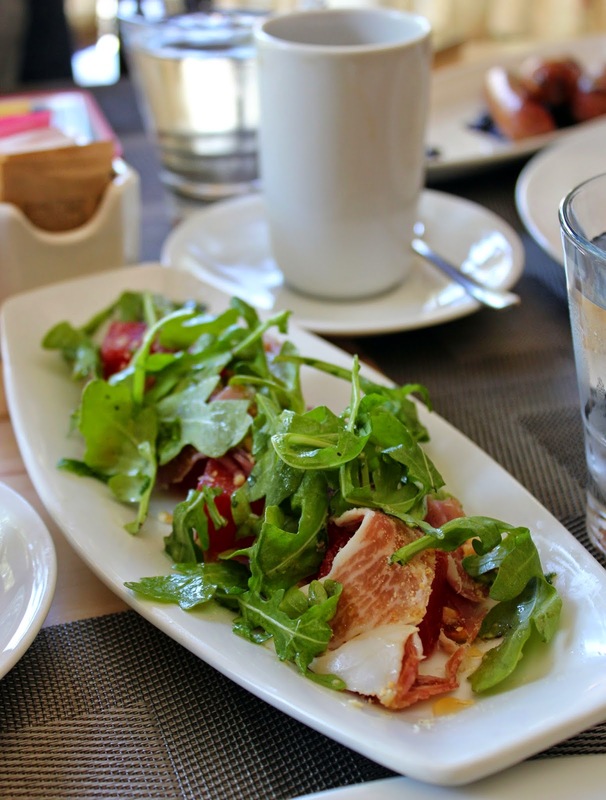 The Oysters are typically $4 each, and Charcuterie is $13 or $21. Then, we moved inside to their private dining room for the five-course tasting menu. This room is available by contract, and a really fun space to host a small event. The feather chandelier and crazy animal wallpaper alone is worth the food and beverage minimum. The first course that we received was their signature Beef Tartare with beef heart and deviled egg. 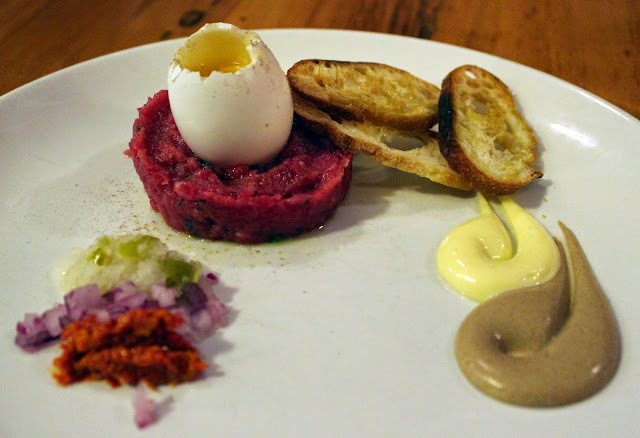 I'm kind of on a tartare kick here lately, and this one was very good. This dish you can find on their regular menu under "Chilled" First Course. Next up, a Chilled Lobster salad with tomato, avocado, fennel, mint, and verjus sorbet. This was a favorite course of many at our table, and it can be found on the restaurant's regular menu (also under "Chilled" section). The use of avocado and the refreshing sorbet was what really kicked this dish up a notch. I could eat an entire entree-sized plate of this. Our fish course was intended to showcase some of the things that they are doing at the restaurant. It can't be found on the menu, but pieces and parts of it are there. It was a Seared Scallop with corn, candied bacon, and roasted tomatoes. I'm a sucker for anything with Ohio sweet corn in it during the summer, and I'd love to know how to create this creamed corn at home. It was packed with flavor, and complimented the scallop and crispy bacon well. The creamed corn can be found on their "Sides" and they have a scallop dish under "Fish" on the menu. Next up, STEAK! I mean, they are a steakhouse after all. We were treated to the Roasted 21 Day Dry-aged Strip Loin with boulangere potato, summer squash, and tallow. You won't find this dish quite like this on the menu, but the 21 dry-aged is part of the New York Steak Tasting and "New York" section of the steak menu. It had an amazing crust on it, and the texture of the steak was divine. It left me wanting more, and plotting a return visit to the restaurant. "R" would love it. We finished the meal, already stuffed beyond belief, with the dessert course. 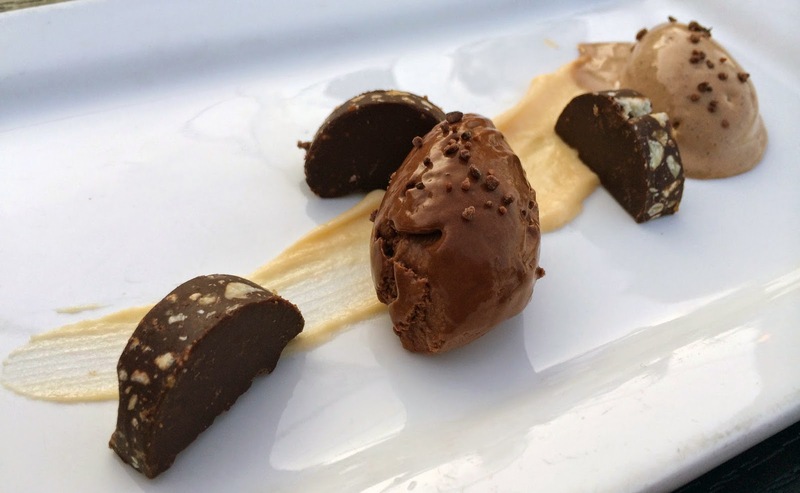 We had the Great Lakes Malted Barley Custard with malt balls and honeycomb. This dish can be found on their regular dessert menu. I'm not a dessert lover, but this was delicious! The honeycomb in particular was a pleasant surprise, and reminded me of toasted s'mores. We also enjoyed a few expertly paired wines with the meal, and exceptional service. It really was a fantastic meal, and overall experience. 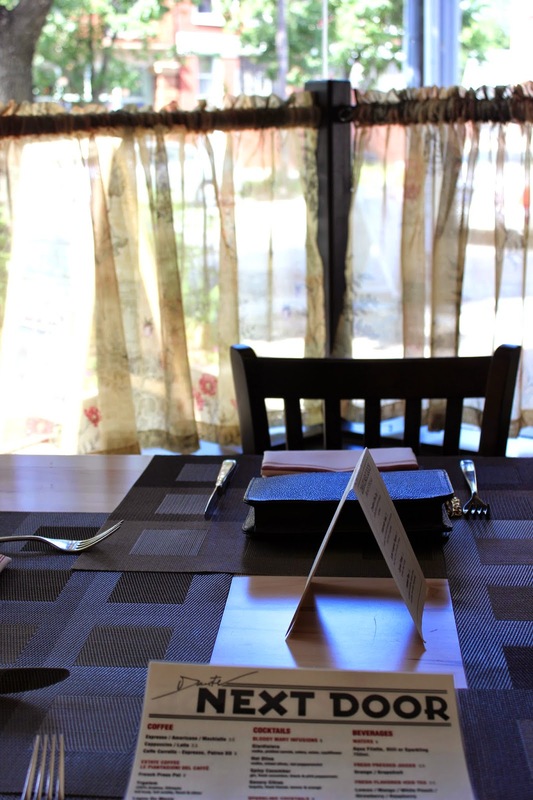 It certainly left me with a wonderful impression of the restaurant, and a craving for more. I think that was the point! They focus on sourcing locally, building relationships with the farmers and producers, and knowing where the food is coming from. They pride themselves on wasting as little as possible, using as much of the cow as they can and often pickling local produce that would typically go to waste. 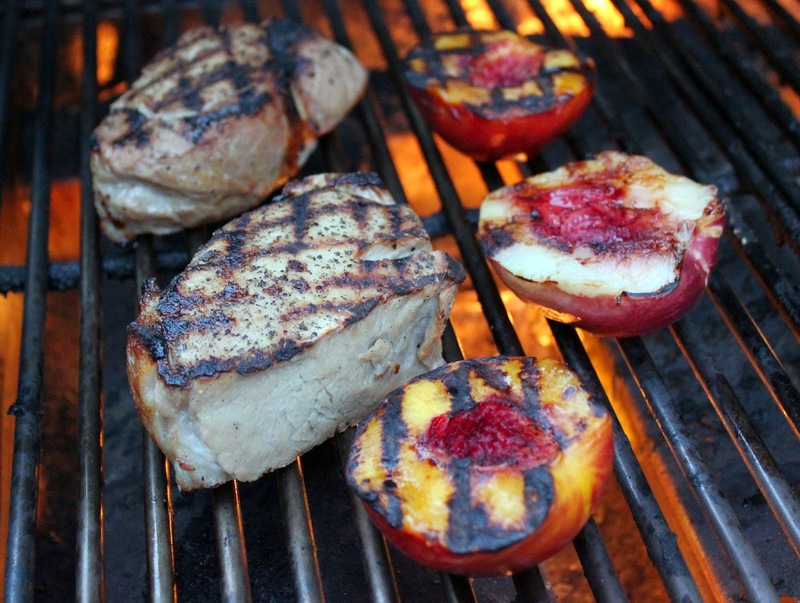 They firmly believe in the relationship between land and plate, and if this is what that tastes like...then yes, please! Based on my experience, and what I've been hearing from other diners, go check them out on East 6th/St. Clair Avenue in the new Westin Hotel. It's a tad pricey, but worth the splurge. Anyone want a steak date? Disclosure: I was invited to attend this complimentary blogger round-up. All opinions stated are 100% my own. What a weekend! In some ways, it went by too quickly. Saturday is an example of that, because we spent eight hours crawling through Lakewood eating chicken wings. 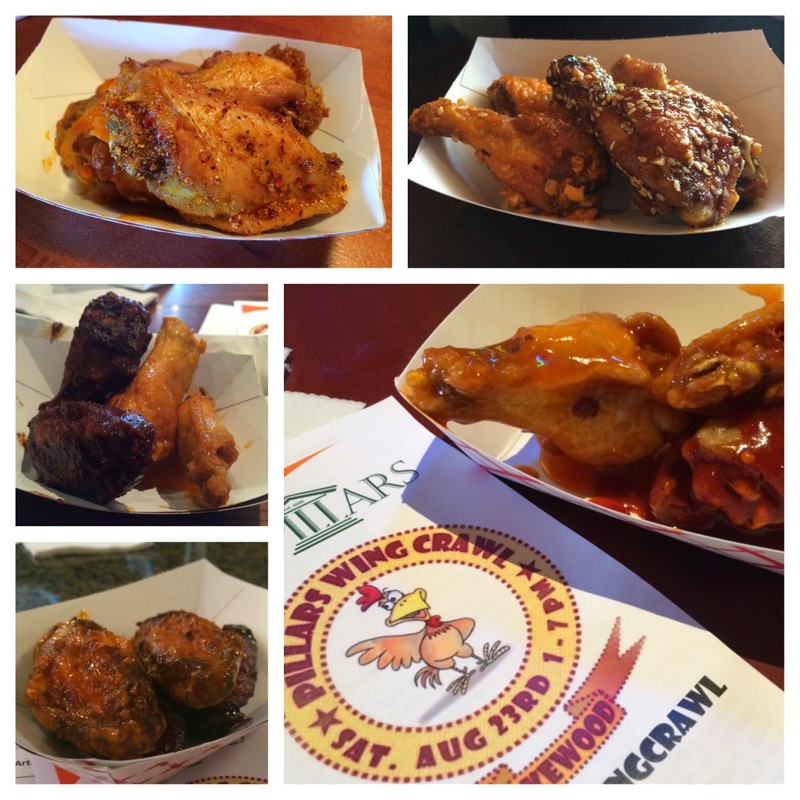 I'm talking about the 9th annual Pillars of Lakewood Wing Crawl. This "Best Wings in Lakewood Contest" had 11 restaurants/bars slinging chicken wings from 1-7pm as hundreds of people walked up and down Detroit Avenue (a free shuttle service was also available). I had agreed to act as one of the official judges for the contest, tasked with taking at least one bite of each kind from each place. 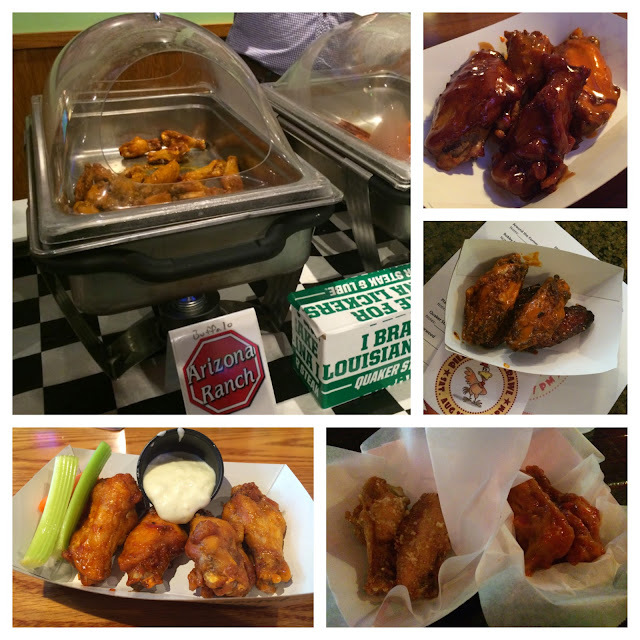 The participating restaurants/bars had to serve one "Buffalo" and one "Open" (or chef's choice) wing. Your ticket got you two of each at each stop. Early on, "R" and I were just splitting one order of four at each place, and I quickly moved to just taking one bite of each. But, it was still a lot of chicken wings! I've never seen so many wings in my life. I loved that it brought us to places that we haven't been to before, like Plank Road Tavern and Merry Arts Pub & Grille. Quaker Steak won for best presentation of the wing station, which included extra sauce, vegetables for dipping, blue cheese and ranch dipping sauces, crazy straws, candy and...wet naps. Why were they the only place with wet naps during this sticky, messy, saucy wing crawl?!? It should be mandatory, and they were very much appreciated. I've never washed my hands so many times in one day before. It was fun to see restaurants/bars participating that don't usually sell chicken wings. Deagan at Humble Wine Bar was trying his hand at chicken wings by baking them in their pizza oven. I heard from other crawlers that some of the wings there didn't hold their crispness, but mine did, and the Garlic Parmesan wings in the "Open" category should be perfected and kept on the menu. They won best wing in that category, for me, based on the flavor. But, I'm a garlic-lover. There were beers had along the way. 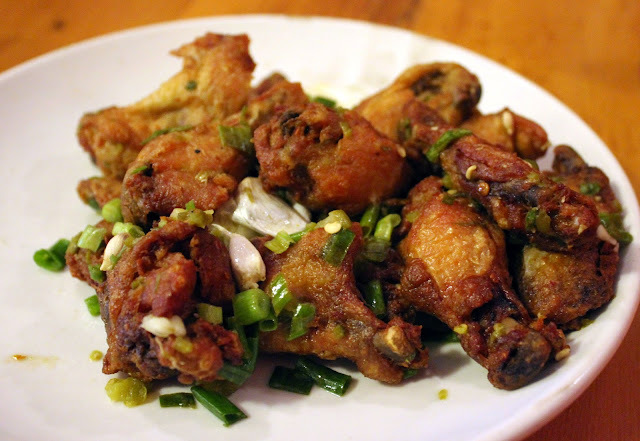 Chicken wings and beer just go together like peanut butter and jelly. We had a great day crawling through Lakewood. There were only a few really bad wings, like Vosh (tiny and dry) and Bobby O's (meaty and crispy, but served in crock pots with bottled sauces). So, who has your favorite chicken wing around? Here is the list of official winners, both People's Choice and Judge's Choice. Every participant was encouraged to vote, and had a chance of winning a Great Lakes Brewing Co. package. Have you attended this event before? Would you? For $20, I think it was a deal, and a fun way to spend the day. However, it will be a very long time before I want to see a chicken wing again. Disclosure: I was provided with two passes to the event and a T-shirt, in exchange for acting as an official judge. I was not asked to blog about this event. All opinions stated are 100% my own. After two days of total overindulgence, how could we possibly handle more? 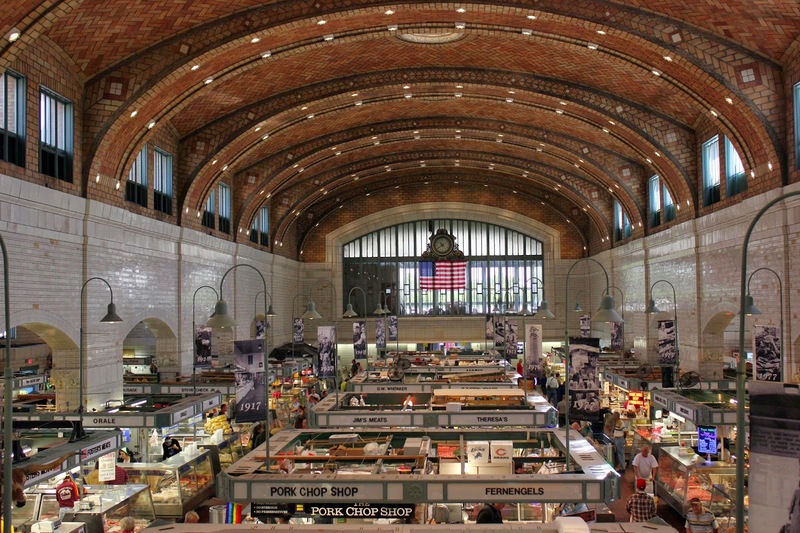 But, we had one more day to complete of the Positively Cleveland #ThisisCLE culinary tour. I picked up our visiting food writer, Sarah from EatPGH, bright and early on Saturday morning to head to one of our area's best farmers markets--- the North Union Farmers Market at Shaker Square. 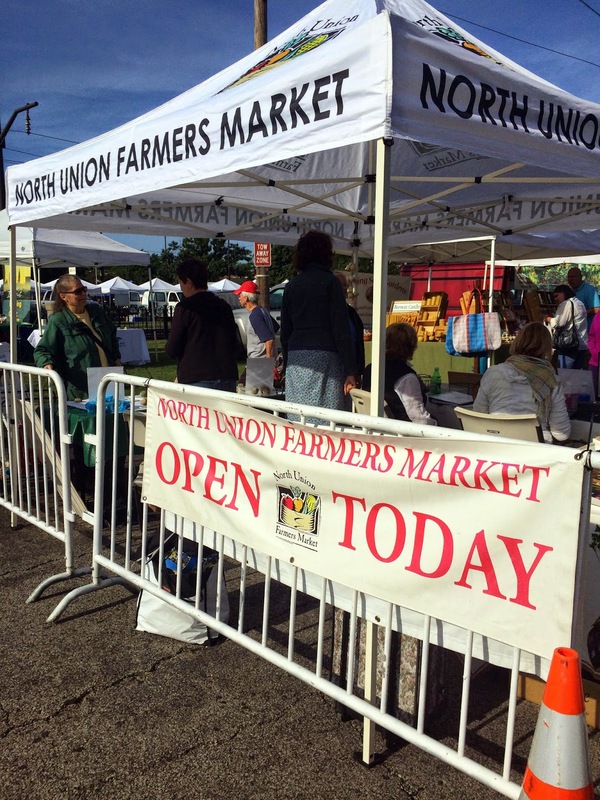 I wanted to show her this great pocket of restaurants/shops on Cleveland's east side, and explore the weekly Saturday farmers market (8am - noon). I picked up fresh Ohio sweet corn, our first of the summer, and some HUGE beets for beet salads during the week. I also purchased a bouquet of bright and cheerful sunflowers for our kitchen table. My last "score" at the market was Curry Pork Terrine from Melissa at Saucisson. This French forcemeat loaf similar is to a pâté, and she suggested making Bahn Mi sandwiches with it. Which we did on Sunday, and they were absolutely fabulous! 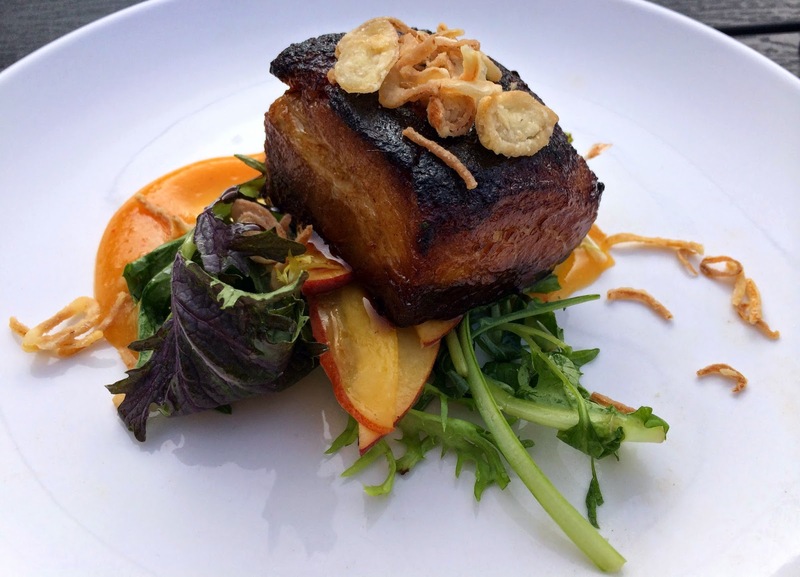 You can catch the "Queen of Pork" at several local farmers markets, so check out her products if you haven't done so yet. After our tour and shopping at the market, I swung home to deliver my goods before heading into one of my favorite Cleveland neighborhoods. I couldn't let Sarah leave without showing off Tremont. 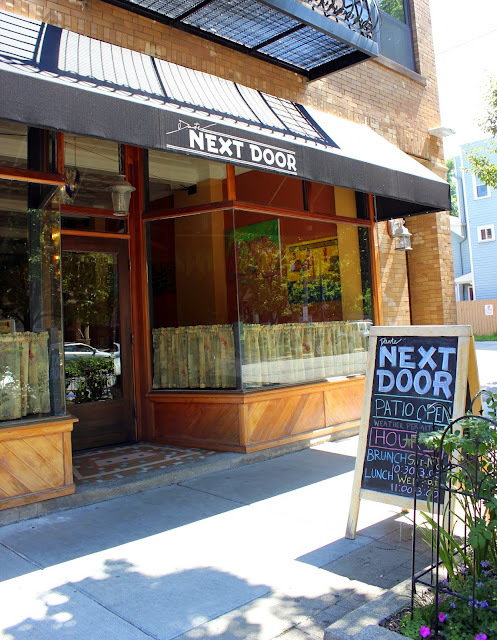 Our destination: Dante Boccuzzi's new Dante Next Door. Located on Professor Avenue, next to his other restaurants (Ginko and Dante), there is free street parking and valet service in the evenings. They settled us into a table right by the window, and we were finally hungry again. What's with the ugly country curtains? It doesn't really feel like Dante's style. 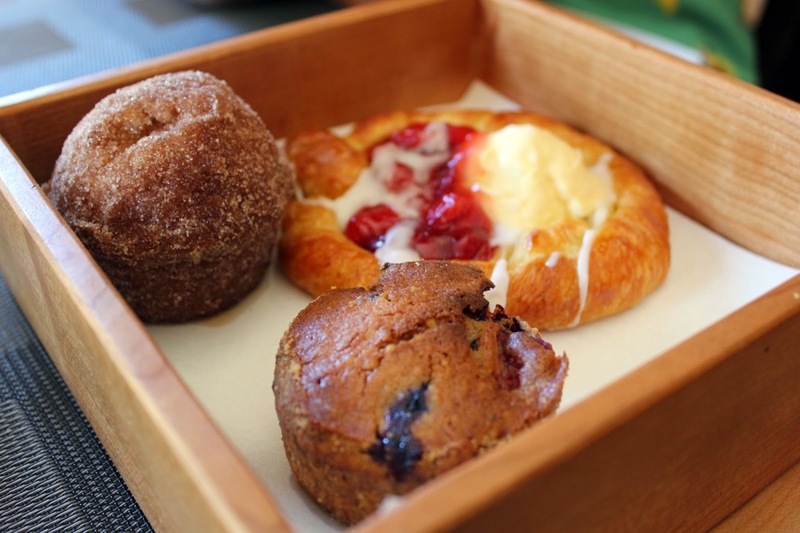 A box of house-made pastries was sent out from the kitchen (Box of four for $7, or $2 each). 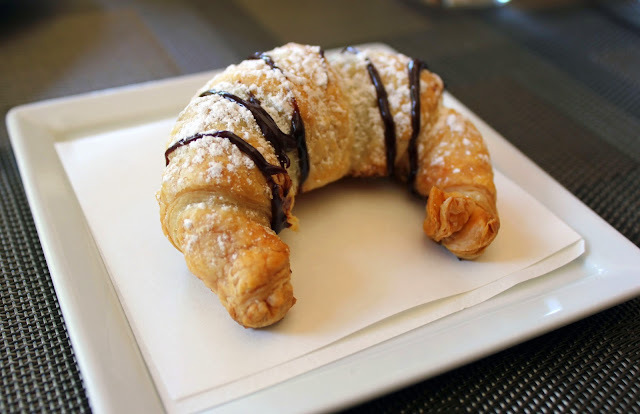 I love the presentation, and I immediately dug into a Chocolate Croissant. The only one that I didn't care for was the Dirt Bomb (pictured top left). It was too sweet, dry, and dense for me to enjoy that early in the morning. The kitchen also sent out their special salad of the day. The watermelon, proscuitto, and arugula paired well together, and it was a refreshing bite to our heavy brunch. 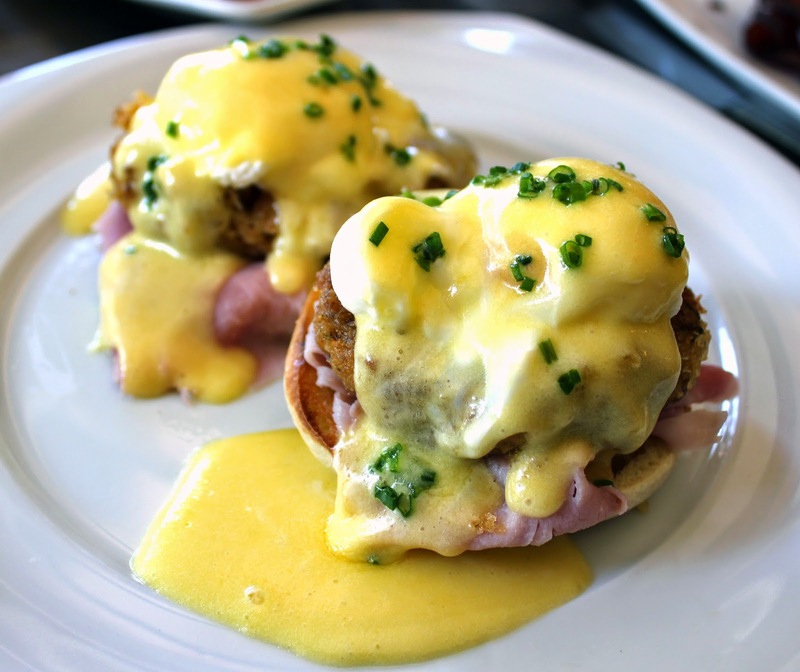 I had the server choose between two dishes, and she suggested the Crab Cakes Benedict with soft eggs, ham, and lemon Hollandaise ($16). Loved this dish! It may have even been better than the version down the street at Press Wine Bar. I'd order it again. We also ordered the Maple Syrup Black Pepper Bacon and Blueberry Sausage Links ($4 each). Completely full, and ready to call "uncle," we were still smiling (which is hard to believe). Thanks for the picture, Crystal! We wrapped up the afternoon with some shopping in Tremont. I picked up a gorgeous peach clutch from Banyan Tree, and a bracelet from Evie Lou. I also sent Sarah home to Pittsburgh with sweets from Lilly Handmade Chocolates and A Cookie and a Cupcake (two of my favorite Cleveland treats!). I hope that she enjoyed them as she thought back on her trip to our fine city. 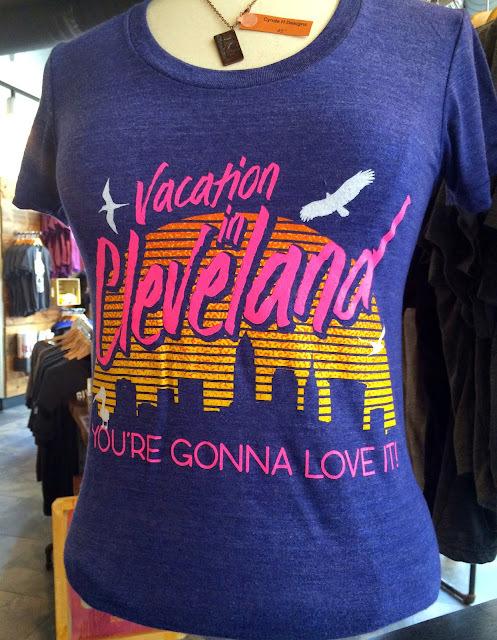 I think this T-shirt from Cleveland Clothing Co. sums it up well. Vacation in Cleveland, you're gonna love it. Our culinary trip came to an end, and Sarah said the nicest words to me..."I'd never know that you were a Cleveland transplant." I may not have been born and raised here, but I'm pretty darn proud of this city that I now call home. Ok, I also seriously didn't eat for about 24 hours after the three-day culinary extravaganza. Wowza. I hope that you enjoyed following along during our adventures. The list is long, I'm sure, but what did I miss? Where would you have taken her? When I last left you, we were getting some rest and freshening up for dinner on Day Two of our Cleveland culinary tour. Sarah, from Eat PGH, and I had quite the evening planned for Cleveland's Ohio City neighborhood. It's one of my favorite areas of the city, and it certainly has a lot of great dining options. I chose to take her to my personal favorite, The Black Pig. It also happened to be their Two-Year Birthday that day, so they were in full celebration mode. Besides the food, one of the things that I love most about The Black Pig is their unique rooftop patio. With a nice view of Downtown, secluded and small, it's perfect for a fun dining experience. We wanted to share a couple of small plates to start the meal. I absolutely had to order the Braised Pork Belly ($11) for us. The preparation changes often on their menu, but the pork is always cooked to perfection with a crispy crust and melt-in-your-mouth belly meat. The peaches this time were a great summery combination of flavors. We asked our server to select the other small plate for us to share. She chose the Crispy Chicken Thigh ($10). The chicken itself was only okay. I think it's hard for chicken to be a "star," so her selection was curious. 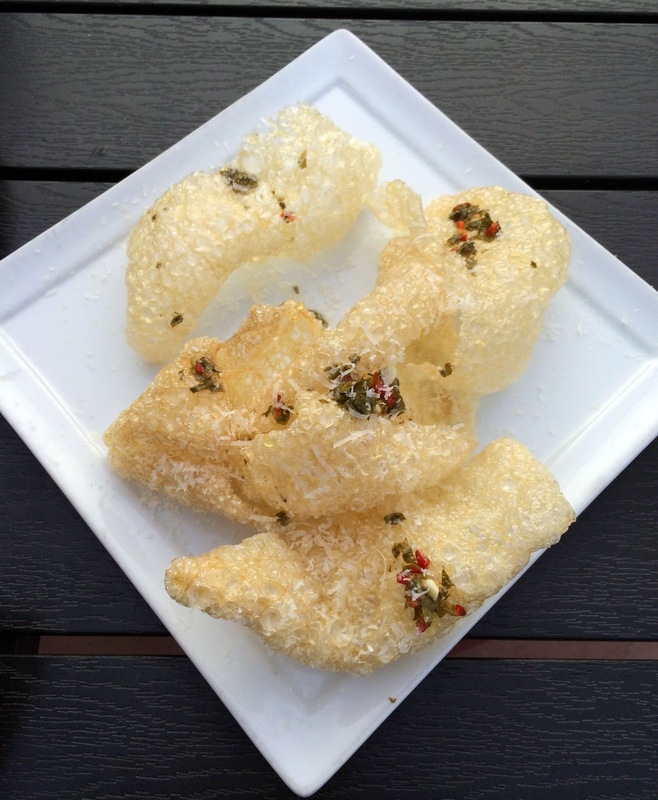 Luckily, this course quickly redeemed itself when Chef/Owner Michael Nowak sent up some complimentary Pork Rinds ($5) with salsa verde and Parmesan. They were still cracklin' on the plate for quite some time! 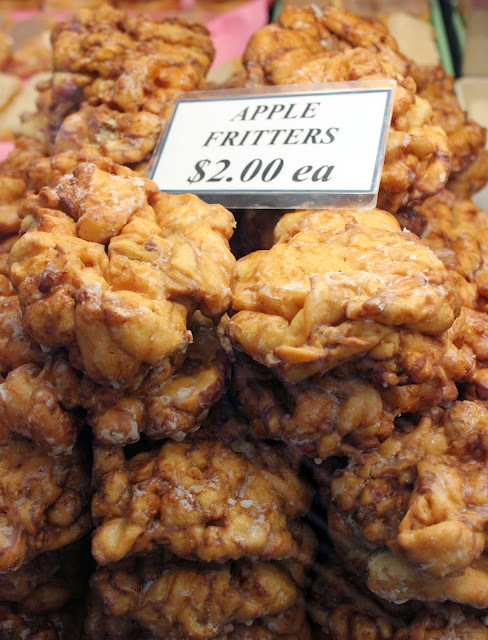 So crispy and delicious, we happily munched away. We both selected the fish special, a Swordfish. Every day they do a Market Fish special. This meaty fish was prepared very well, and the spaetzel paired well with it. Nowak couldn't let us leave without sending out a sweet bite to finish the meal. It was a chocolate sampler, and a perfect ending to the meal. It was an outstanding one overall, and one of my favorites during our three-day tour. Then, we walked for a bit and ended at Crop Bistro. We were a little early for our dessert reservation, and they were slammed, so we settled into a high-top table in the bar area. Our frazzled and gruff server made a poor impression, in my opinion, but we made do. I wanted Sarah to see the beauty of the converted bank space. Although, the high ceilings and use of marble make for a very loud setting when the restaurant is full. 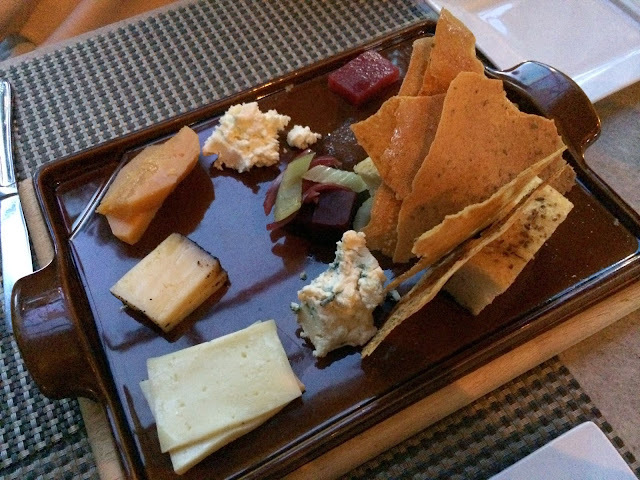 Our sweet tooth was satisfied by the chocolate tasting from The Black Pig, so we ended up ordering a Cheese Plate from their Daily Cheese Selection (five cheese for $20 or three for $15). We also ordered their signature Balsamic Popcorn ($6) so that Sarah could try it. 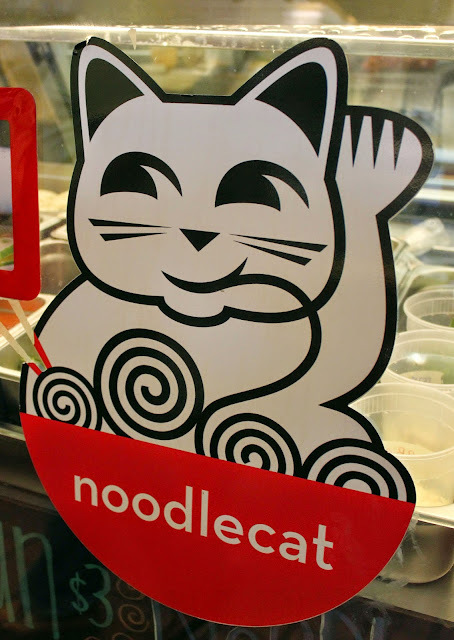 Service continued to be an issue, and it was extremely loud in there, but the food was fine and we enjoyed ourselves. We were both dreaming up copy-cat recipes to do the popcorn at home. The night ended with a drink at Velvet Tango Room. We had originally tried to head to Porco Tikki Lounge, but the parking lots were packed and we couldn't find a spot. Great to see! The prohibition-style VTR is certainly worth showing off as well, so I wasn't too disappointed. The $18 price tag on the cocktails may seem steep, but they can be well-worth it. Still not feeling it? 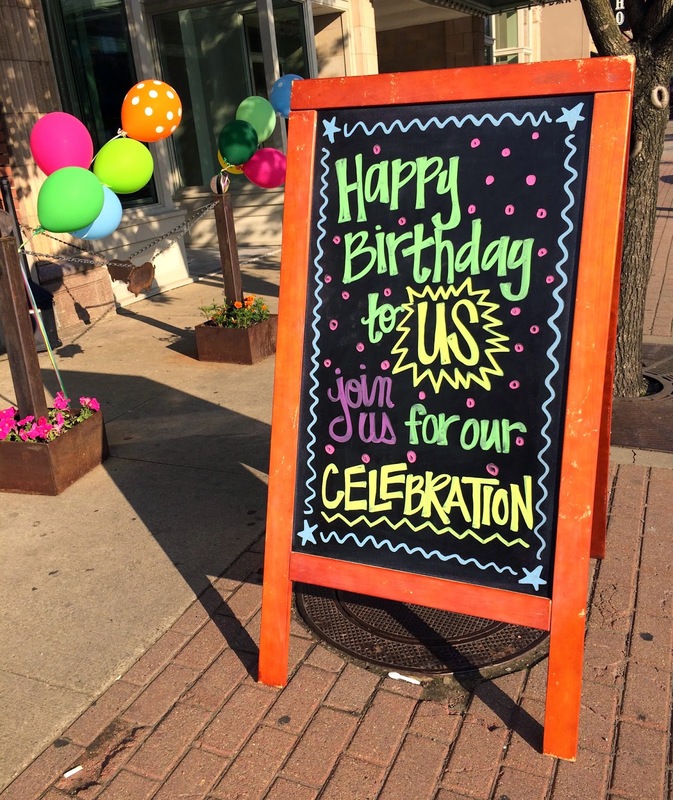 Stop in for happy hour prices. Completely whooped from our day, and bellies quite full, we called it a night. One more day to go! Disclosure: I partnered with Positively Cleveland to host a three-day culinary tour for a visiting food writer. All meals, admission tickets, and transportation costs were paid for. All opinions stated are 100% my own. 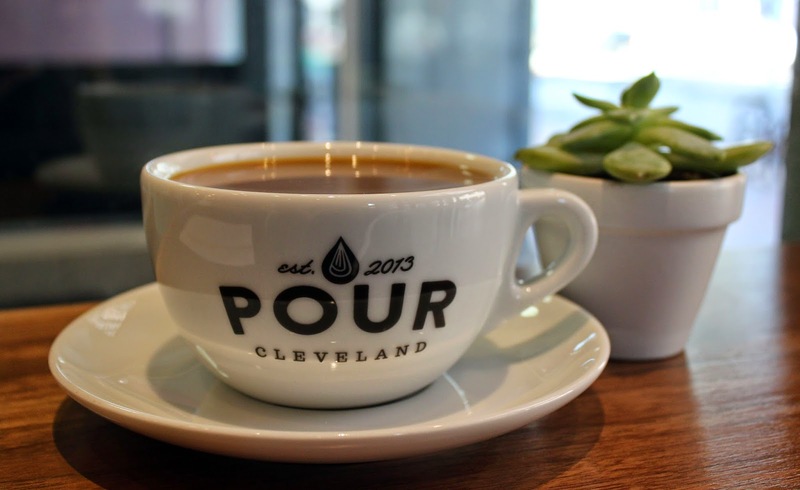 Day two of our Cleveland culinary tour started off early, with my first cup of coffee from Pour Cleveland. 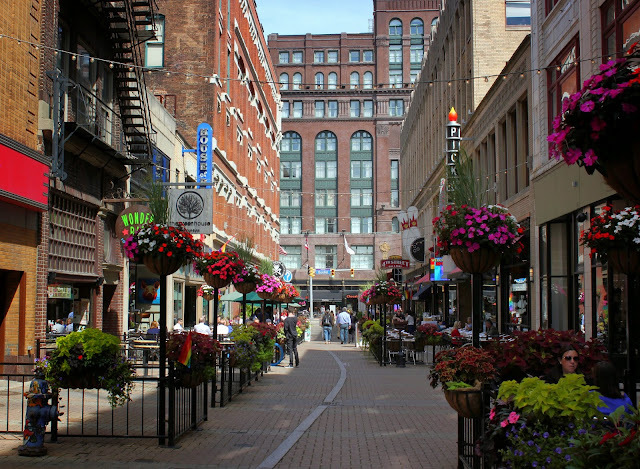 This charming coffee shop is sandwiched between the 5th Street Arcades and Hodge's in Downtown Cleveland. They are a "pour over" and espresso bar. 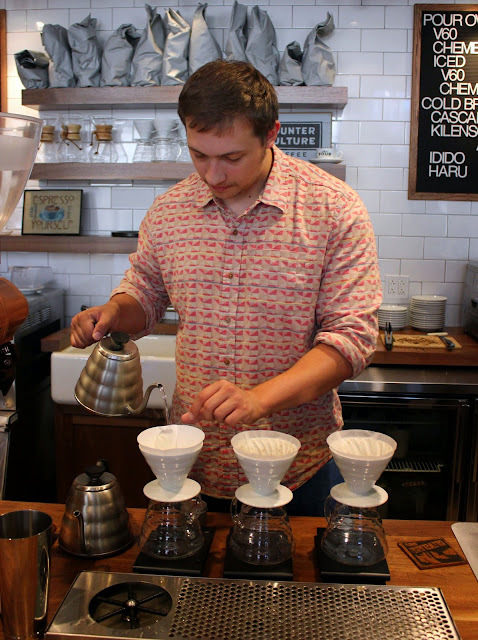 It was my first time watching the pour-over method of brewing, and they certainly make it fun to watch. Everyone was so warm and welcoming, and it started our day off well. Go check them out! Sarah (from EatPGH) and I needed the kick of caffeine to fuel our tour of the West Side Market. 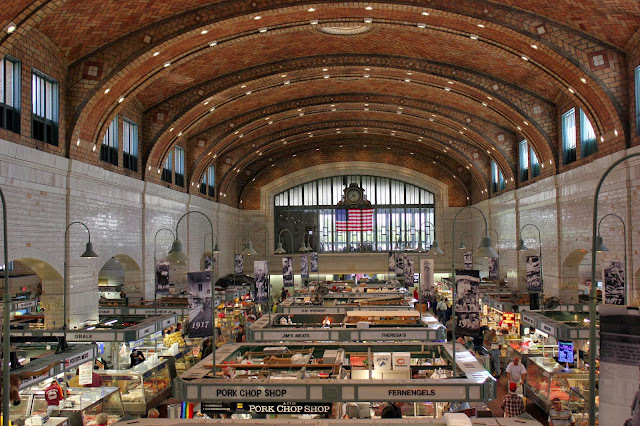 Cleveland's public market is one of my favorite places in our city, and a "must-stop" for any out-of-town guests. We snacked as we toured, munching on a Cheese Danish and Apple Fritter. Then, a steam bun from Jonathon Sawyer's Noodlecat stand. Sarah had the Pulled Pork with sesame BBQ, and I tried the Daily Special Bun with Pork Chop Shop (another great West Side Market vendor) chorizo, homemade slaw, avocado, and sprouts. A little messy, but delicious. After our stroll through the market, we headed out to shop on West 25th. Salty Not Sweet is one of my favorite stops, featuring local goods and gear for anyone wanting to express their Cleveland pride. We also stopped at Room Service, Penzey's Spices, and Campbell's Sweets Factory. 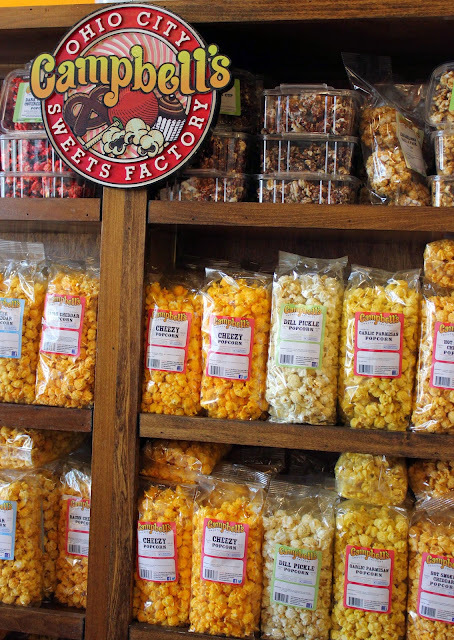 I love that you can sample their small-batch gourmet popcorn at the shop. I picked up a Salt and Vinegar White Popcorn, that we have yet to open. Before we knew it, it was time for lunch. 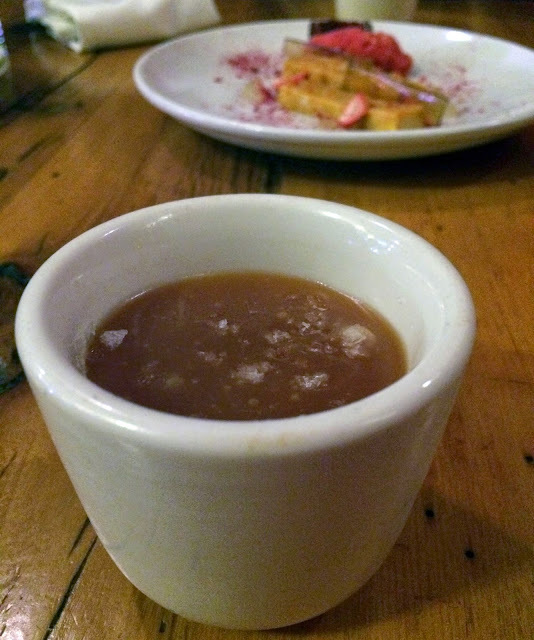 We headed back into Downtown for Jonathon Saywer's famous The Greenhouse Tavern. I wanted to make sure to show off our East Fourth dining area during Sarah's visit. 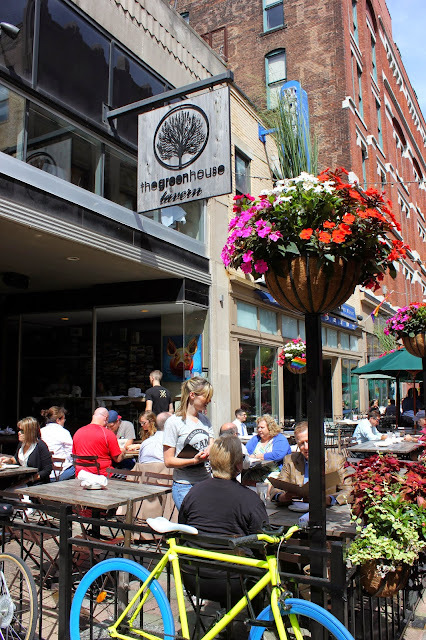 With twinkling lights, an abundance of outdoor patio seating, great people-watching, and big-name chefs like Bruell, Symon and Sawyer, it's an area that you should always consider for bringing visiting guests. 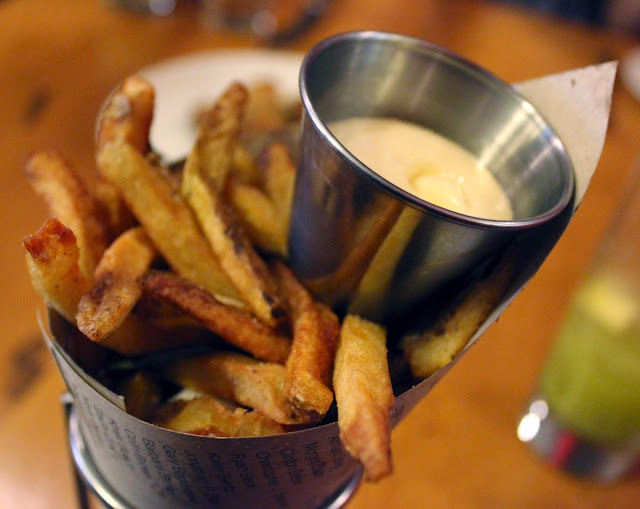 ...and Pomme Frites with garlic, rosemary, and aioli. She loved them both. I also couldn't resist the famous Hand Ground Beef Tartar (even though I still think Luca's version is better). The kitchen also sent up two desserts, including the inventive R.O.Y.G.B.I.V with orange carrot halwa, raspberry, lemon lime and lavender candy, and their well-known and well-loved Buttered Popcorn Pot de Creme with caramel and sea salt. That pot de creme is one of Cleveland's best desserts, so don't miss it if you have a sweet tooth! ...and suddenly the afternoon was over. I'm exhausted even writing about it. The day just sped by. It was time for a quick break at home/hotel. I think that I'll have to leave our dinner excursions for another blog post. Check back later this week for Part Two of Day Two! How am I doing so far on showing off our city and its culinary scene? At this point, my tummy was already very happy. 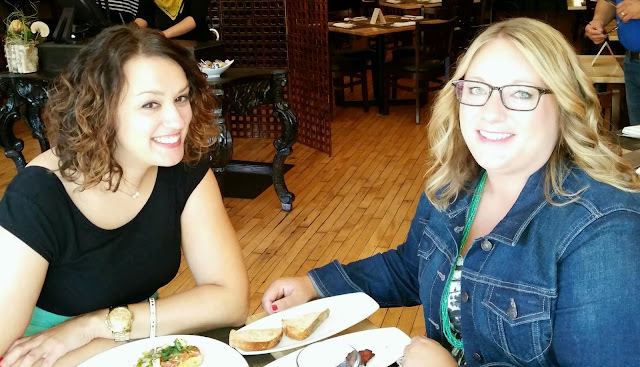 Disclosure: I partnered with Positively Cleveland to host a three-day culinary tour for an out-of-town food blogger. All meals, admission tickets, and transportation were paid for by PC. I set our itinerary. All opinions stated are 100% my own.